I have been busy over here. Like crazy busy. I just wanted to kind of update everyone on what I've been doing so far this month, since I haven't been posting very much on my blog. As you know I'm a nursing student. 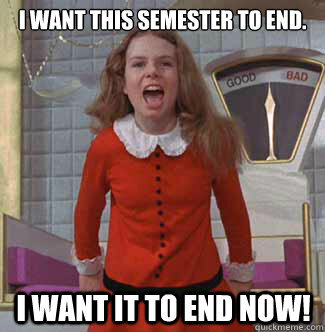 It is also the "final stretch" of the semester. So, there's that. I also presented at my schools Scholar's Day this week and a Nursing Leadership Conference at a local hospital. It was so exciting to get to be presenting research at these events, and I learned a lot. On Monday, I got in a car accident. I am completely okay (aside from some soreness), but getting in a car accident is a very stressful situation. Luckily, I was found to be not at fault because an elderly woman hit me in a parking lot and ended up getting a "failure to yield" ticket. She is okay, too, thank God. I've been on the phone with insurance companies all week long, though. It seems like a never ending process to get all the details sorted out and the car repairs taken care of. At least we are both okay and my car is drivable, though. So aside from a very stressful week, we had our quilt guild meeting and my friend Marty brought me a jar of homemade cinnamon extract! It was so sweet of her to think of me and I can't wait to use it. Do you have any good recipes that use cinnamon extract that I should try? I also roped Alec into going to a free quilt show with me down the road from our house. In hindsight, I shouldn't have worn my "Hooters" shirt to this show, but I don't think any of the nice ladies minded too much. In my opinion, any guy that will go to a quilt show with his girlfriend is a real keeper. I have also been getting outside more and trying to fit some exercise back into my routine for stress relief. I was going to post a photo of a pose I've been working on, but the Instagram website is apparently down today. So, you can just enjoy the obnoxious memes that describe my life, instead. Do you have any suggestions for other ways to relieve stress without taking so many breaks from actually doing your work that you get nothing done? Tea is a major stress reliever for me, also doing some stretches during those breaks. I'm sure there's some science behind it but seriously taking 10 mins to stretch it out and not think about the work at hand makes all the difference for me.